Ant-Man and the Wasp has arrived in theaters. It's Marvel Studios' third and final offering for the year and mostly serves as a very nice change of pace after the very serious and massive scale adventure that was Avengers: Infinity War. That's not to say that this movie doesn't come with some big, intense moments. Specifically, the post-credit scenes that were included. Warning: major spoilers ahead for Ant-Man and the Wasp. It's become a Marvel tradition for the movies to have a mid-credit and an end-credits scene. One of them a little lighter in tone and one of them a more series tease for things to come. This isn't a hard rule by any means but it's what fans can frequently expect. Ant-Man and the Wasp follows that rule pretty closely, but the less-serious of the two scenes comes with a punctuation on it that actually makes it a bit more important than it seems on the surface. But let's dig into the first post-credit scene before getting ahead of ourselves. The sequence features the gang together after having rescued Janet (Michelle Pfeiffer) from the Quantum Realm. Hank (Michael Douglas), Hope (Evangeline Lilly) and Scott (Paul Rudd) are working with Janet to gather some particles from the Quantum Realm on a rooftop. Scott is meant to go in, collect the particles and get out quickly. The Pym trio is hanging out on the roof keeping radio contact with him while he's inside. Once in the Quantum Realm, Scott initially establishes radio contact with them and everything seems to be going well. Then the radio cuts out and Scott begins to panic, hoping that this is some sort of joke. We then switch perspectives and cut back to the rooftop to see that where Janet, Hank and Hope once stood, three piles of ash have collected. Yes, the Pym family tragically fell victim to Thanos' deadly finger snap at the end of Infinity War, leaving Scott stuck in the Quantum Realm. We're guessing that means someone will save him come time for Avengers 4 but the question is, who? Does anyone really even know where he is? Not only that, but as we saw with Janet, being stuck in the Quantum Realm for long periods of time can change you. She got powers. If Scott's in there long enough, will he get powers as well? And does his daughter Cassie (Abby Ryder Fortson) know where her dad is? She wants to be a hero and if she can point the surviving Avengers in the right direction she might be able to help rescue him. Now on to the end-credits scene, which is much more in the spirit of Ant-Man and the Wasp, in that, it's much more lighthearted and fun. We cut back to Scott's house where things look awfully quiet. We then pan over to the ant that has been wearing his ankle tracker, who is ripping one last drum solo and having a good time doing it. This particular shot was actually included in the trailer, which is pretty interesting. End scene. That, in itself, isn't anything particularly important. However, there's the tradition of "so and so will return" that's included at the end of MCU movies. This time, the message came as "Ant-Man and the Wasp will return?" That question mark is very ominous. We suspect that time travel and some other comic book shenanigans will resurrect at least some of the fallen heroes in Avengers 4 but perhaps not all. This question mark is there to warn viewers that not everyone is going to make it out alive. 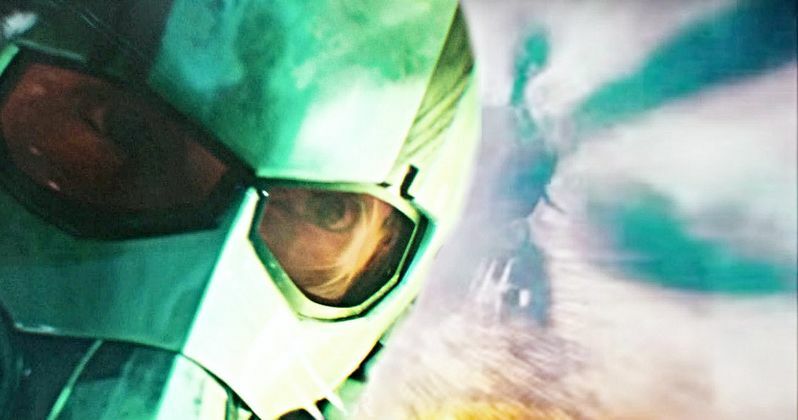 Perhaps this is why everyone has been so skeptical about the possibility of Ant-Man 3 happening. Well played, Marvel.